Antique shops are never for those who go hunting with a precise idea of what they want to come home with at the end of the day. Instead, it’s about the beauty of stumbling onto something you never knew you always wanted and cherishing it for its unique oddity. 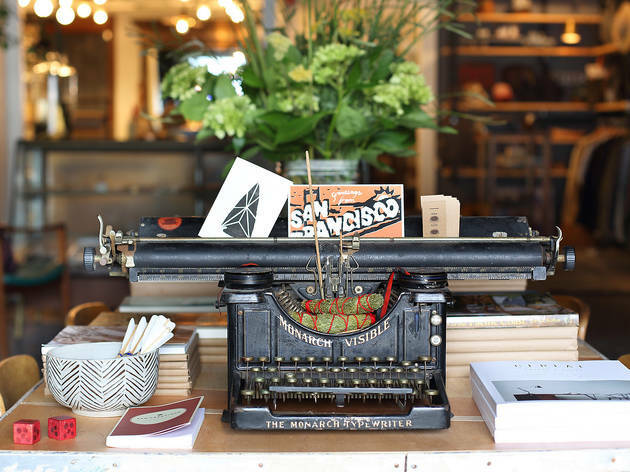 What better place to encapsulate that feeling than San Francisco—still the epicenter for what’s whimsical and strange. Stuff, indeed. 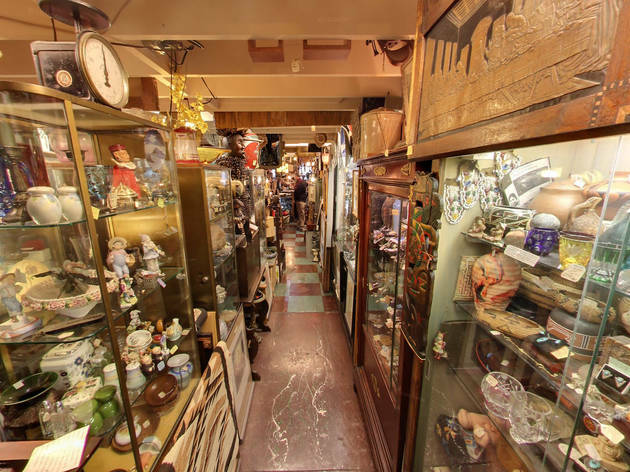 Like a stationary form of the monthly Alameda Flea Market, Stuff SF is two floors of wall to ceiling trinkets and tchotchkes crammed into a surprisingly huge store in the Mission neighborhood. 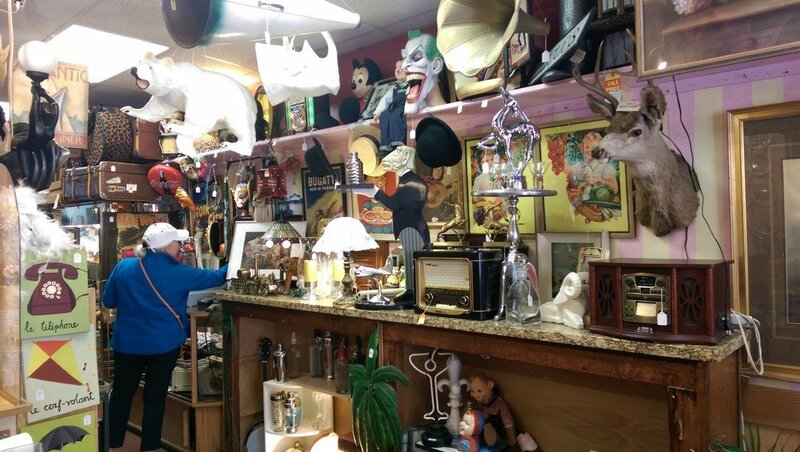 While the focus is on interior decorations for the home such as paintings, prints, kitchenware, chandeliers and furniture, you’ll find a number of sections dedicated to vinyl, costumes, and extreme oddities. Alongside a massive painting of Jim Morrison (aka the Lizard King), you’ll find miniature rooms sectioned off by time period and color coordination, plus a fantastic music selection (think B-52s and Prince). 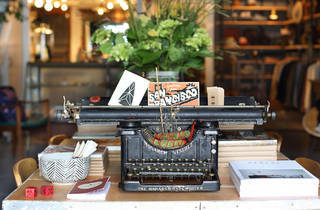 Lotta’s Bakery is the only antique store in San Francisco to also boast a full-service bakery. The haphazard placement of 1940s eclectic prints, figurines, fur coats and Victrolas somehow fit perfectly alongside challah, pastries and cakes. The blackstrap molasses gingerbread is one of the best and most unique treats in the city. 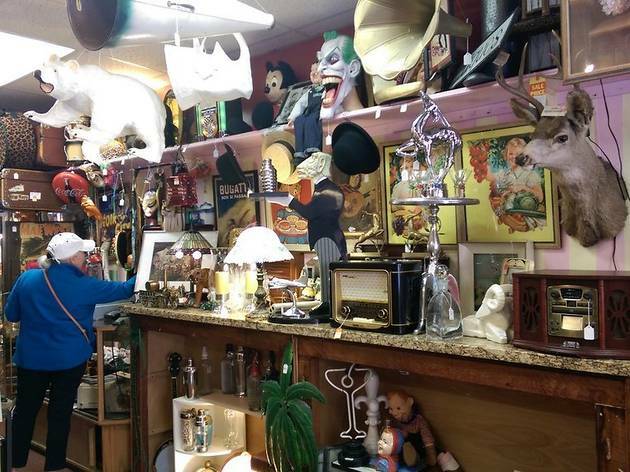 Be sure to venture past the bakery counter and into the back side room as you’ll find paintings stacked against one another for more than reasonable prices, as well as Miss Piggy riding a hanging magic carpet. 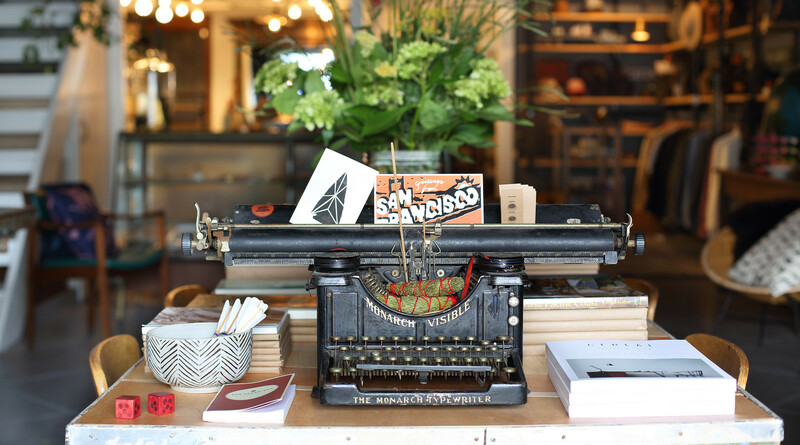 This Southwestern chic store on Divisadero leans towards the rugged pastoral, selling moccasins, jean jackets, switch knives, turquoise jewelry and cactus print pillows. Hidden throughout are taxidermied critters as well as a back room filled with earthy kitchenware. Find your new favorite coffee table books and cookbooks here, as well as John Muir’s guides on hiking and nature. A white ladder leads up to a bedroom loft discreetly closed off, but the most distinctive decoration is a long yellow canoe above the front door paddling towards a reference to Wes Anderson’s film Moonrise Kingdom. 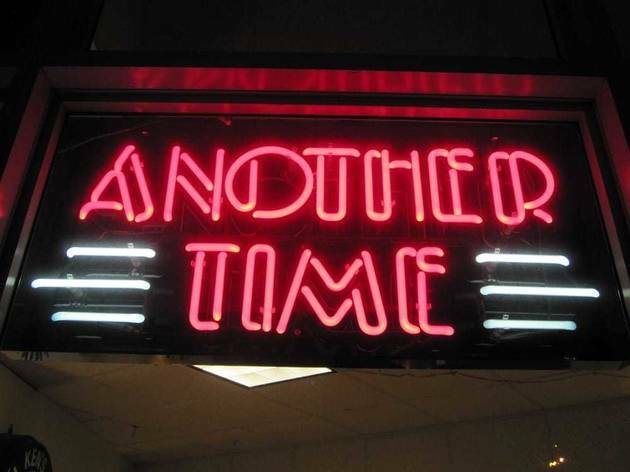 Less assuming than the others on this list, Another Time is right off of Market, a little north of the Castro. Inside is a stockpile of midcentury furnishings, sharp-lined tables, chairs and desks. These offerings from the 1930s through the 1960s obviously were meant to be seen as modern at the time—similar to what the Brady Brunch may have bought if they had won the lottery. Prices are geared towards serious collectors and probably not for those used to swiping furniture off of San Francisco streets in the dead of night. 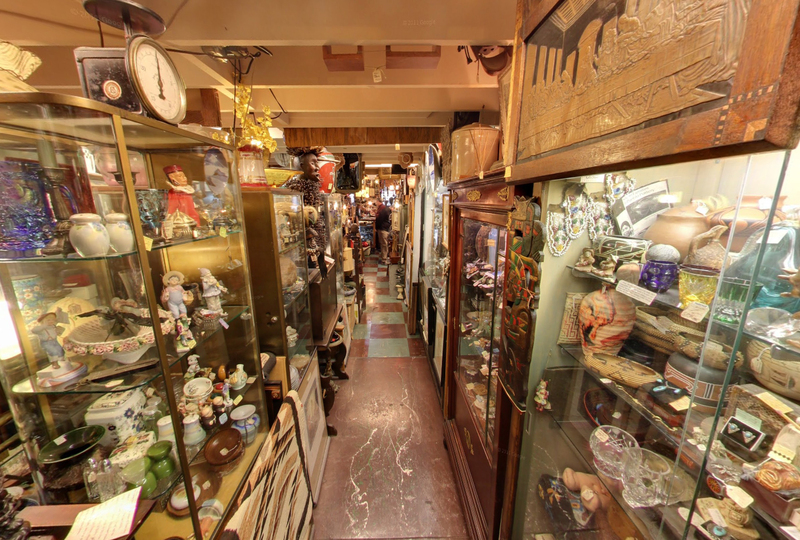 Brand X Antiques is a hole-in-the-wall nestled along the Castro with a collection assembled over the past 25 years. Little treasures line the walls and there’s an incredible selection of jewelry and great gifts for couples. Many locals—both men and women—buy engagement rings from Brand X Antiques, incorporating a romantic vintage style with a new life story. Fun fact: They will also resize and clean rings upon request. 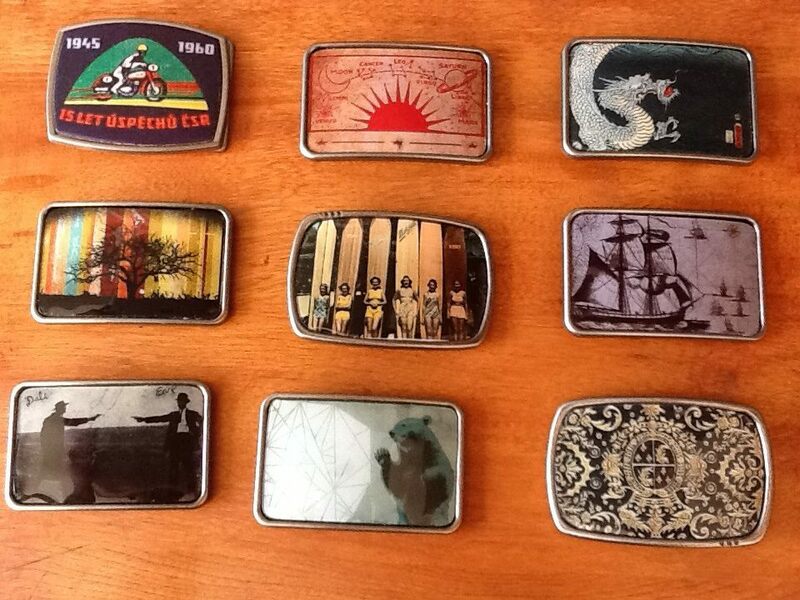 If you appreciate unusual and rare jewelry from different eras, Brand X is worth a visit. Indisputably, this place is one of the most well-curated in the city. Every single item in the store is a genuine work of art—but beware, the price tag reflects this. 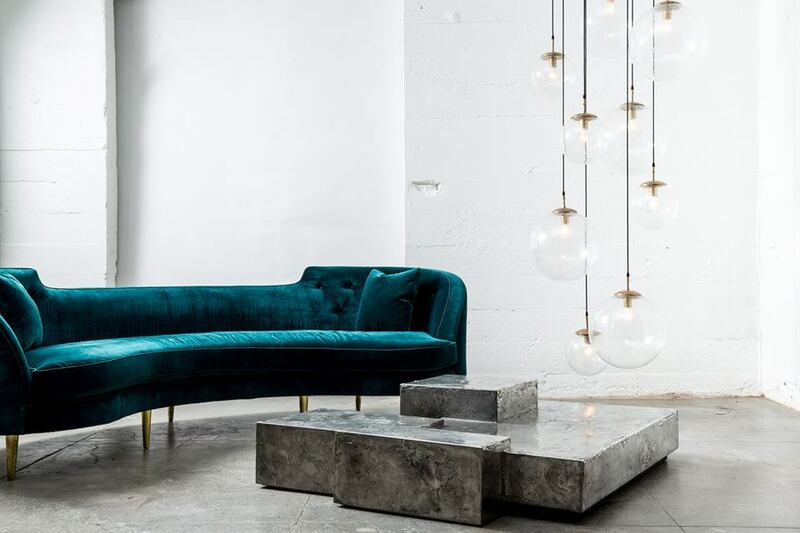 Even if you don’t have the galleons to take anything home, experiencing the creativity of vintage interior decoration stretched to the limit is worth a visit. Every ten weeks the gallery is redesigned with new offerings. 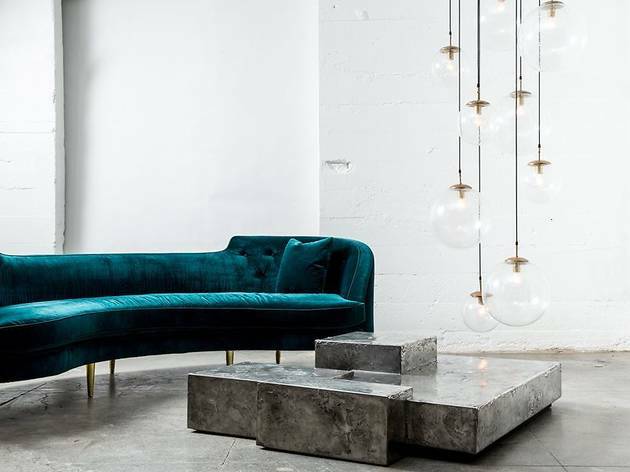 For reference, you can buy the Billionaire Sofa by Marzio Cecchi circa 1970 for $19,500; or a Space Landing Chandelier attributed to Stilnovo consisting of a brass ring surrounded by twelve flying saucer-shaped metal and glass diffusers circa 1960 for $13,750. You know, normal house stuff. 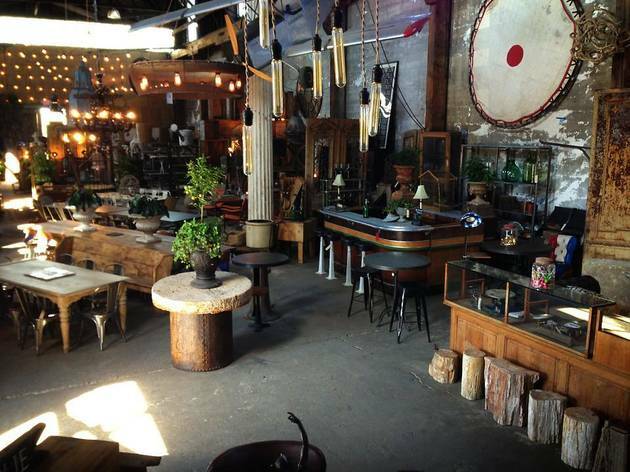 Big Daddy’s is a warehouse filled with natural materials circa 19th and 20th century with an eye for whimsical touches. Think refurbished writing tables, large birdcages and a light fixture in the shape of a concrete baby with a bulb in place of a head. An antique airplane hangs from the ceiling while a smaller replica submarine is attached to one of the walls. Oh, and the price tag is just the jumping off point if you’re worried about the expense—haggling is encouraged here. The two technically separate shops on Polk Street are connected by wooden hallways and descending stairs. 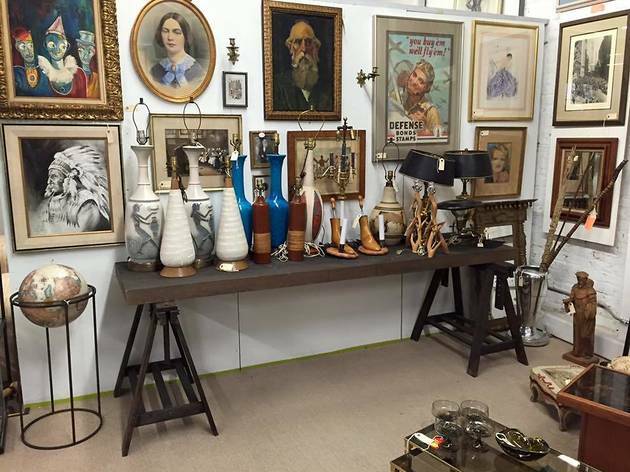 While Molte Cose sports men’s suits, bow ties, cufflinks and chess sets, Belle Cose features darling vintage kitchenware and boudoir attire for women, everything in the mid-century style from the 1940s up to the 1960s. Local designer Mary Green stocks Bella Cose, the feminine counterpoint, with ladylike frills as well as sweet wooden dressers for sale. Store your printed eyeglass dresses inside handlebar suitcases for the full effect. 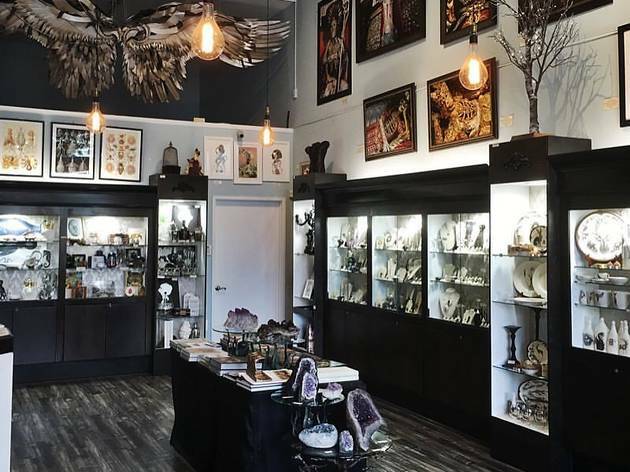 Located in the Haight, Loved To Death is the quintessential goth and death obsessed oddities store of San Francisco. Creatures are immortalized in glass jars, books on witches and Satanism line the bookshelves and you can purchase an entire preserved baby goat (seriously). Doom metal siren Chelsea Wolfe can be heard throughout the store, and photos are strictly prohibited. 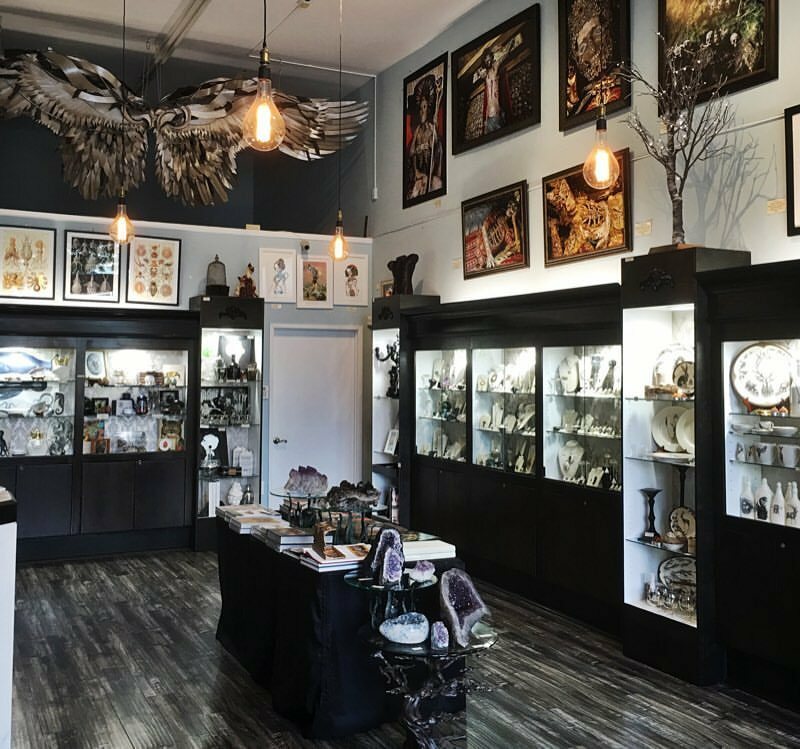 Loved to Death recently opened a second storefront next door which, with a more minimalist style, focuses more on upscale prints and paintings by magical surrealist artists, as well as high-end jewelry. 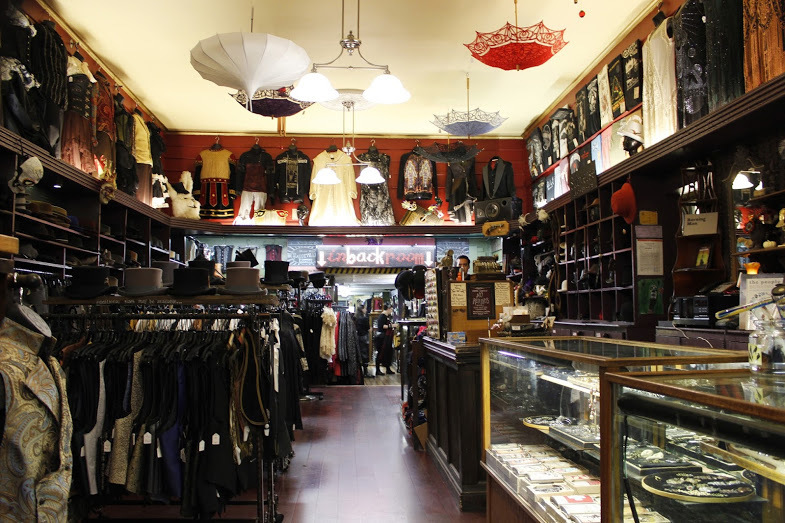 Also located in the Haight is Distractions, a steampunk costume shop catering to all those San Francisco parties where a unique get-up is mandatory. 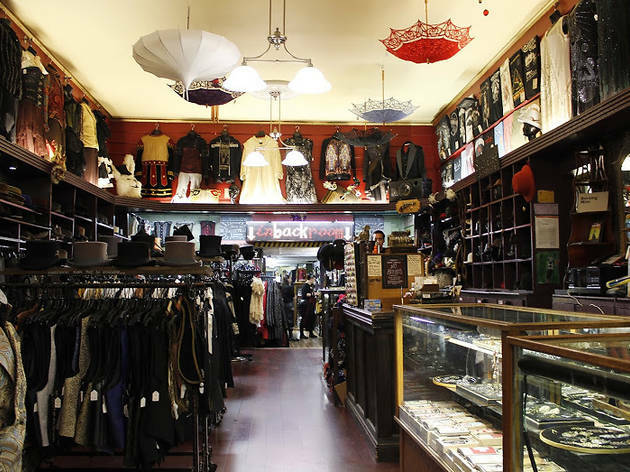 Similar to the nearby Goorin Brothers shop, hats of all styles line the walls with an emphasis on bowlers and anything resembling London circa the 19th century. This shop is a must-visit for experienced or baby Burners wanting to fit in by not fitting in. In the back, you can even pick up pipes and bongs while perusing the masquerade masks, faux fur, galaxy leggings and flapper dresses.